Pharmacist Support – the independent charity for pharmacists and their families, former pharmacists and pharmacy students – is pleased to welcome to its board of Trustees Hamish Borno, Christine Miles and Sally Atkinson. January 2013 marks the start of a three year term for the new recruits and a change in Officers for the Board. As of January 1st Steve Churton takes over the post of Chair, Professor Peter Noyce joins him as Vice Chair and Richard Fass as Treasurer. Doreen Laity, Dr Leonard Brookes and Professor Denis Anthony complete the nine-member Board. As Superintendent and Managing Director of a group of pharmacies Hamish has an excellent understanding of community pharmacy. Along with his pharmacy degree, he holds two Masters Degrees including an MBA from Cranfield School of Management. He has been representing pharmacists as a member of Essex Local Pharmaceutical Committee for over 5 years and appreciates the challenges that both the profession and the professionals within it face. Hamish is also founder and a Trustee of the Borno Foundation, a philanthropic charity which works to help alleviate hardship and suffering. Christine graduated from Bath University School of Pharmacy. She undertook her preregistration year at Westminster hospital, and then worked in hospital pharmacy becoming Chief pharmacist at Harold Wood Hospital and Middlesex Teaching Hospitals. Christine undertook an MBA at Cranfield Business School and a Diploma in Marketing and moved into hospital management where she has worked at executive level for 17 years. She has complemented this work with trusteeships for hospices and training & education boards. With a post graduate qualification in charity management and over 25 years’ experience working for benevolent funds caring for health professionals, Sally has considerable experience in governance and charity finance as well as in casework. She is a Volunteer Hospital Manager at a residential unit for adolescents with eating disorders, and in 2012 was appointed Trustee of the Beacon Lodge Charitable Trust – a residential unit where women with young children are sent by local authorities and the courts to learn parenting skills. In addition she has served as a pension Trustee, has been a governor at a local voluntary aided primary school, and currently chairs the Admissions Committee. 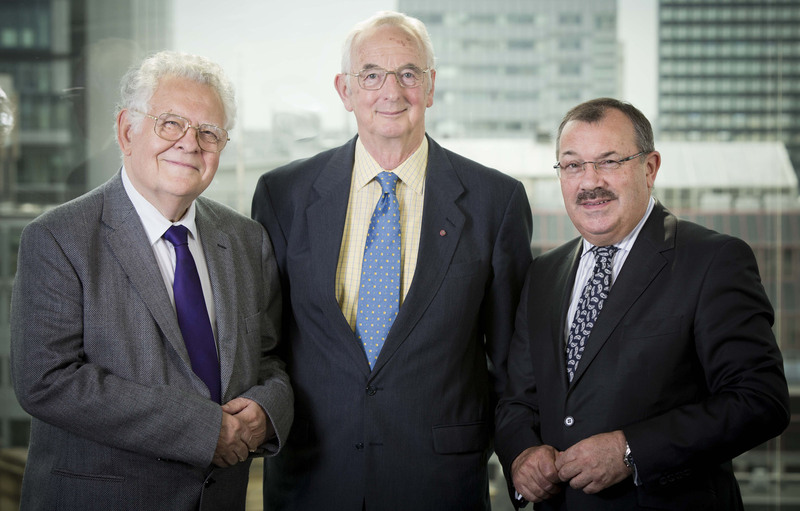 Following six years in post, this month also sees the retirement of past Chairman David Thomson, Arthur Williams and Prof David Johns, whose dedication has seen the charity through a major transformation. As a lay member of the board, David Johns was by no means disconnected from pharmacy developments and issues. Pharmacist Support was previously known as The Benevolent Fund of the Royal Pharmaceutical Society of Great Britain and became an independent charity in 2006 when governance transferred from the Council of the RPSGB to a board of 8 Trustees. The Board now consists of 9 members, 6 of whom come from a pharmacy background and 3 of whom are lay members. The charity was re-launched in 2008 to reflect the modern day needs of today’s pharmacists and legally changed its name to Pharmacist Support in January 2011. Pharmacist Support’s services are available to all pharmacists and their dependents, former pharmacists, preregistration trainees and pharmacy students. NB Pharmacists do not need to be members of the RPS, nor do they need to be on the register at the time of the enquiry to use the charity’s services (they could, for example, be taking a break or have been removed for whatever reason). All services are FREE and confidential and include; Listening Friends (a stress helpline), financial assistance, specialist advice in debt, benefits and employment law, an information and enquiry line and addiction support (via the Health Support Programme).